We kinda have a crush on Hello Kitty around here. 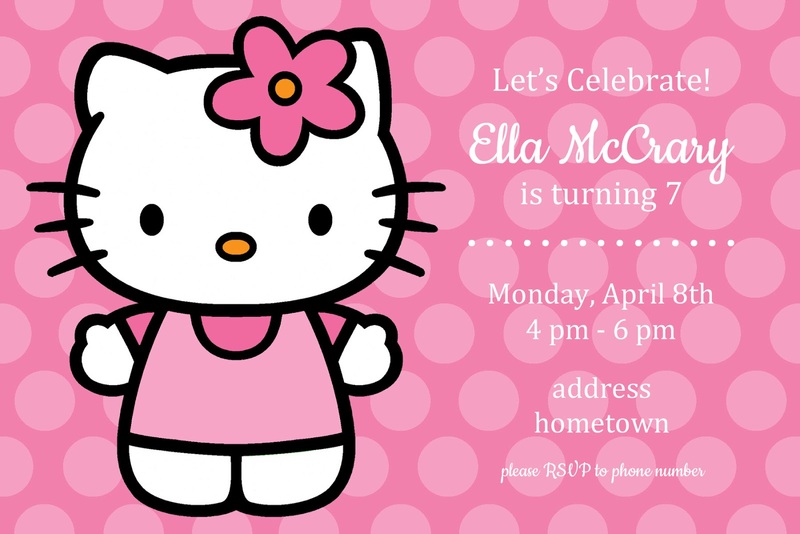 Ella turned seven this month, and at the last minute decided she wanted a "friends" party with a Hello Kitty theme. She must have caught me on a good day, because I gave the okay. Not one to usually do something like this so late in the game, I figured I could throw something together quickly if I kept things super simple. We recently returned from a ten day trip to California. 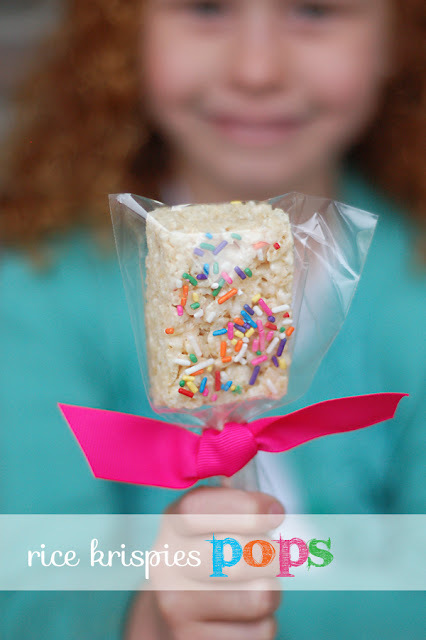 Before we left, we had a little birthday celebration for Ella with some of her giggly, silly, darling schoolmates. I hadn't planned on a "friends" party, but Ella must have caught me on a good day and I agreed, even though it was quite late in the game. Ella's birthday is in a few day. We always have a family party the Sunday before the big day. Ella decided she wanted ice cream for her special treat, so we'll be setting up a hot fudge sundae bar with my amazing homemade hot fudge sauce. 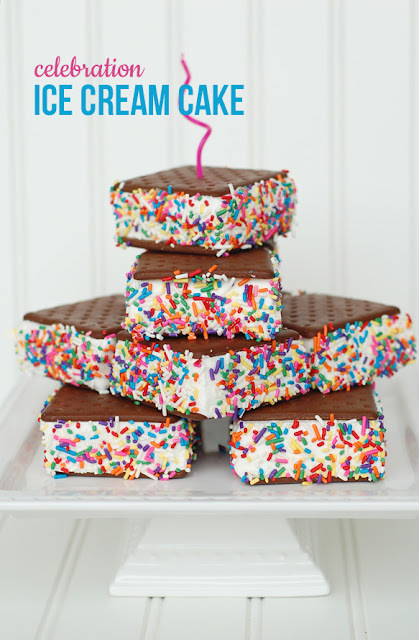 I recently found a great big ice cream dish, and she's pretty excited she'll be the first to use it. 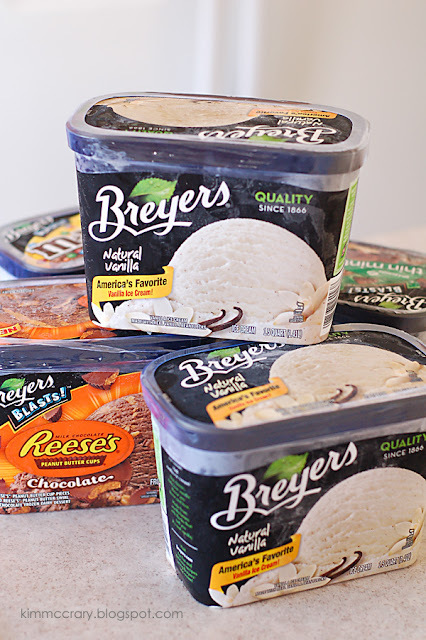 Breyers is by far our family's favorite store-bought ice cream. At $4 a half gallon, it can be a little pricey to feed my crew. I price matched at Walmart today and got if for Ream's price, $2.49 a half gallon instead. Love that! At that price, I stocked up. 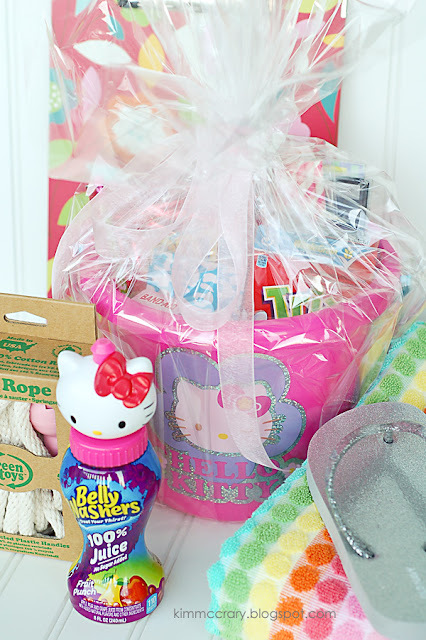 Obviously, we're loving all things Hello Kitty around here. And sparkly and rainbow-y. Yep, all things girly.